The black walnut Yamaha Arius YDP-164 is an 88-key digital console piano offering the playability and sound of an acoustic grand piano for amateurs and professionals alike. Its traditional style makes it well suited to classrooms, rehearsal spaces, studios, and living rooms. 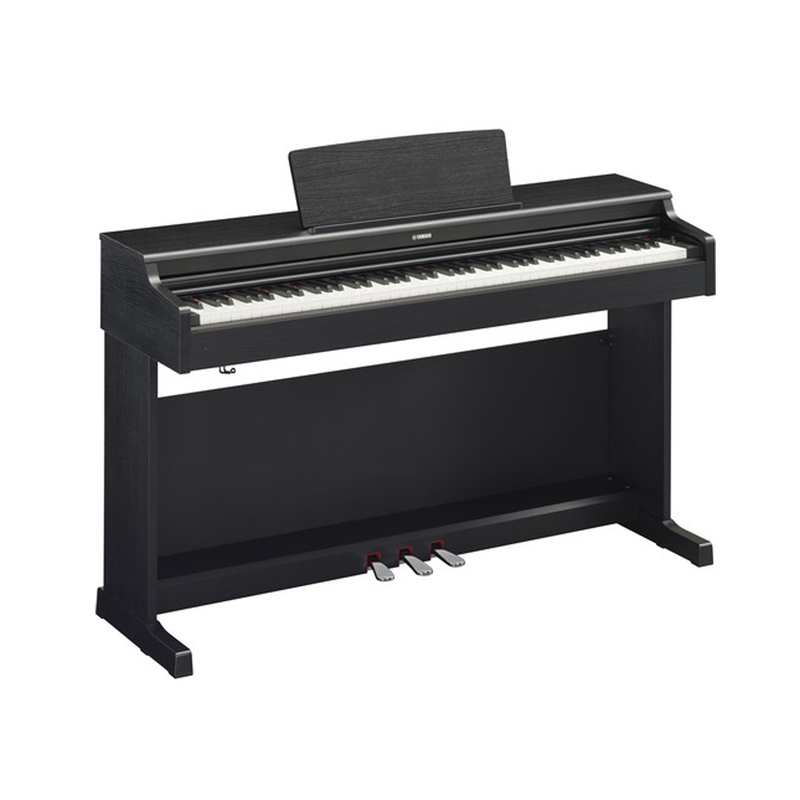 88 GH3 (Graded Hammer 3) keys provide realistic feel and response while the sound engine delivers the expressive tone of Yamaha's CFX concert grand piano. Damper resonance DSP and half-damper pedal control yield authentic sustain and resonance characteristics. Listen to the YDP-S54's sound output through its built-in speakers, or connect headphones for personal monitoring that won't disturb others. With 192-note polyphony and an integrated two-track song recorder, the Arius YDP-164 handles complex performances without compromises. Utilize the USB-to-host port to connect the YDP-164 to a computer or mobile device, then take advantage of convenient app-based recording, playback, control, and song analysis. Expand your repertoire by practicing along with the 50 classic songs included in the internal memory and supplied song book. The YDP-164 includes a piano bench and an AC adaptor.